Sometimes when life gets stressful, there is only one place to go: the spa. To relax and rejuvenate, to unwind and be pampered for a bit. Whether it’s getting a hot stone massage, a relaxing manicure and pedicure, or getting your hair done just because, check out these 10 best spas in Indiana! One of the best places to go in Kokomo for a spa day is Reflections Day Spa on East Boulevard. The staff is friendly and knowledgeable, and the environment of Reflections is warm and inviting. They are an AVEDA based salon, using only organic and all natural products. Reflections strives to create a relaxing and professional environment, and provides an array of services. Try the Outer Peace Acne Facial or the Aveda Essential Facial. Your face will thank you! Another great place in Kokomo to have a spa day is Teresa’s Therapeutic Massage, Spa and Salon. Located in the small plaza off South Webster, Teresa’s offers a relaxing, quaint yet modern environment in which one can relax and let the stresses of the day melt away. Try the Organic Sugar Scrub Exfoliation and feel the dead skin fall away as fresh skin is brought to the surface, or Teresa’s most popular pedicure service, their Signature Pedicure. Step into the Chateau Bijou and prepare to be dazzled! Chateau Bijou translates to Castle of Jewels, and it is a gem indeed. Located in the gorgeous downtown area of Noblesville, Indiana, Chateau Bijou is housed in the Model Mill Building at 8th and Mulberry. As soon as you walk in, you’ll feel as though you’ve entered a classy, elegant yet rustic establishment, and you should prepare to be pampered! The staff is skilled and professional, and certainly deserves their five star ratings for amazing customer service! Tranquil Vibe Day Spa in Bloomington, Indiana, is all about providing their customers with a relaxing, stress-free environment. From the moment you walk in, you’ll feel the stress start to melt away and by the time you leave, your whole body will feel loose, relaxed, and rejuvenated. Each service is personalized to suit the customer’s needs, from the amount of light, the type of music, table temperature, etc. Their premiere spa therapy services are the best of the best. From an Alaskan Glacial Mud Body Masque to the Peruvian Cocoa scrub, your skin will feel soft, fresh, and you will leave feeling like a whole new you! The best place to enjoy the spa in Lafayette is Bliss Salon and Spa. Dedicated to knowing their customers as individuals and tailoring their services based upon customer needs, Bliss is about creating a personalized experience. The Vitamin C and Sea Mask Facial is a must, as is the Blissful Facial. Both will leave your skin feeling clean, refreshed, hydrated and beautiful. One of the best things about Dyer, Indiana, is Intrigue Salon and Day Spa, and it’s the perfect place for a girl’s day out. The staff is warm and friendly, and extremely knowledgeable in each of their fields. New clients get 20 percent off their visit. For someone who has never had a facial before, try the basic facial. Something a little unique to Intrigue is a 30-minute, full scalp massage to increase blood flow over your entire scalp. Your head (and hair) have never felt better! Be sure to ask for the Intrigue Aromatherapy Pedicure! 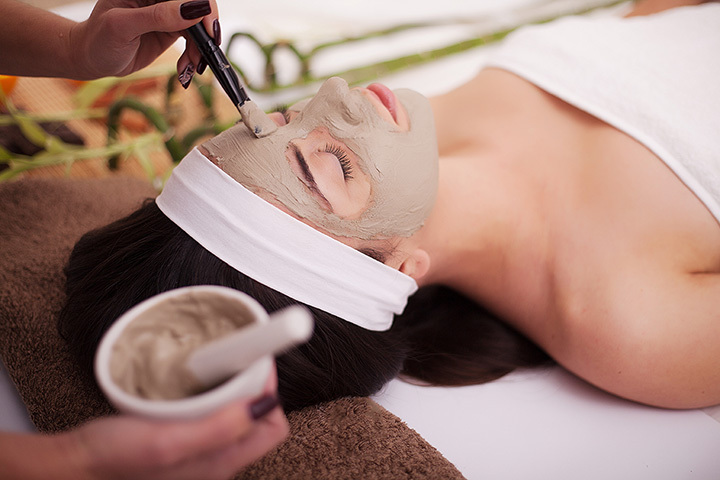 The best place for a spa day in Carmel, Indiana has to be the Village Spa. Located in the Village of West Clay, this spa looks high end but is quite warm and welcoming. The staff is professional and each service is personalized to fit your needs. The Village Spa is committed to providing their clients with a luxurious experience and to help them escape the everyday hustle and bustle, at least for a little while! Have issues with back acne? Try a relaxing and exfoliating back facial! Head up to northern Indiana this summer and experience Selah Day spa in Mishawaka. At Selah Day Spa, they use a mixture of Eastern, Western and European spa techniques to create and convey a sense of peace and revitalization. As soon as you enter Selah, it’s like you have been transported to an exotic location, far outside the U.S. Each product contains all natural ingredients, and the staff at Selah are committed to caring for their clients. Try the Sugar Body Polish Wrap. For your teen, try the purifying teen facial, a great way to introduce them to skin care and how to maintain healthy skin. ExpressionS Salon and Day Spa opened in 2001 when owners Linda and Janille saw their vision of bringing a unique salon and spa experience to the residents of Warsaw and surrounding areas. Their mission is to surround their clients with elegance, artistry, and the warmth of a friendly, dedicated, and knowledgeable staff. The spa has warm and cool, relaxing colors throughout and offer a variety of spa and salon services, including an aromasoul ritual scrub and shiatsu, which uses finger and palm presses and stretches to help decrease the buildup of stress. Come to New Albany, Indiana and prepare to be pampered. J. Nicolle Salon and Spa offers a variety of treatments and pampering services, from massages to pedicures, hair, and more. Another service J. Nicolle offers is Reiki, the ancient art of healing using energy. It is often used to for spiritual and emotional distress to help clear the chakra channels. Only certain individuals can do this type of work, but it is amazing and very cleansing. For the men in your lives, treat them to a gentleman’s facial, as they deserve a little pampering as well!